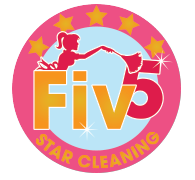 It is easy to fall behind on your house cleaning, particularly if you work long hours, have children and pets, or travel frequently. There are lots of good reasons to consider paying for house cleaning services. If your home or business is cleaner, not only will your family and employees be happier, but they may also be healthier, as the cleaning eliminates germs and allergens from your indoor environment. Moving in or out: Moving is hard enough without having to do your own cleaning. Leaving the cleaning to the professionals gives you more time to do all the other things you need to accomplish before the big move. Want to have fun in leisure time: No one wants to spend every weekend cleaning. If you like to travel or have fun in your leisure time, our services let you do it without feeling guilty. Work long hours: If you work long hours, you may not have the energy or time to clean when you finally get home. You deserve to relax and spend your time off with your family. Upcoming special occasion: Maybe you are hosting a party or a holiday gathering and want your house to be sparkling and fresh. Professional house cleaning services can free you to worry about the other details of your special occasion. There are no bad reasons for hiring professional cleaners. You should calculate what you can afford, and if cleaning just isn’t your thing, let us take care of it for you.